Why Is A Gym Insurance Necessary To Keep Your Gym ‘Fit’? As the owner of a gym or fitness centre, you are helping people in staying good health, but have you thought about the ‘health’ of your gym? As a fitness centre or health club owner, your main objective is to ensure the good health and wellness of your clients. You and your employees work closely with clients, pushing them to do their best to achieve great results. But what would you do if something unfortunate happens at your fitness centre? Or, how would you guarantee the health and wellness of your business? Because the job of a fitness instructor requires him/her to train their clients, there is always a fear of injury. From accidents to fall in the weight room and broken equipment, there are many such risks which can arise in your fitness business. Whether you own a yoga studio, martial art studio, gym or a cycling studio, you would be in need of coverage to safeguard your employees and business. Here gym liability insurance can help you! Let’s understand what gym liability insurance is. 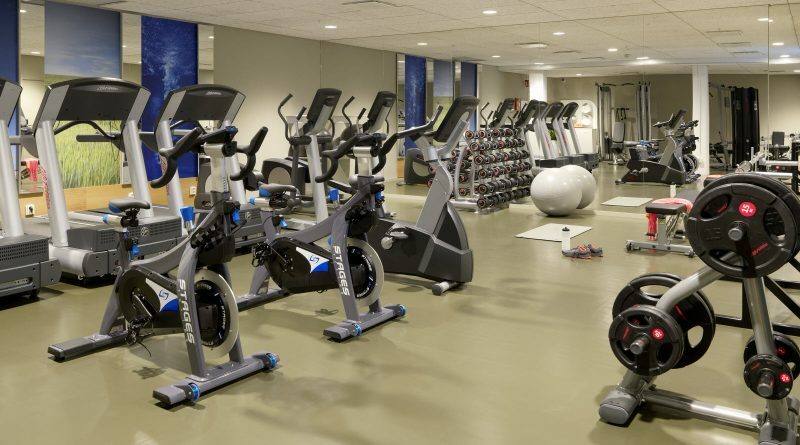 A gym insurance is a broad insurance cover that acknowledges that things can wrong. The insurance policy can come handy as it safeguards you from financial hardships which can be caused by a variety of accidents and potential risks. It is a comprehensive cover which offers wide coverage from customer injuries to product liability. How can a gym liability insurance help you? A gym liability insurance is a combination of wide insurance coverages that are relevant to your health clubs, gyms and fitness centres. The specific coverage and the amount you would need for your facility would depend on a variety of factors, like the number of employees, type of services offered along with the size of the facility. General Liability: It covers injury or damages caused to the person or property for which your gym may be liable to pay. Professional Liability: It covers risks which may arise due to errors and omissions by your employees. For instance, your client gets injured or falls sick while acting upon your advice. In this case, if the client files the case against you, the insurer will offer you the coverage. Product Liability: It covers those risks which may arise if you sell your products like workout equipment and nutritional products. Employee Practice Liability: If your fitness center or gym is accused of poor services or harassment and a case is filed against you, the insurer will come forward to offer you coverage. While you can only act diligently and ask your employees to work efficiently, there are some circumstances which are beyond your control. At that time, you would need some protection like gym liability insurance to combat the issues. How to Buy Gym Liability Insurance? Once you have decided to buy gym liability insurance, the next question that you need to answer is, “How much is my insurance coverage”? And, of course, the answer would depend on a myriad of factors. Mainly, the cost of your gym liability insurance will depend on the specific kind of liabilities which you want to cover along with the limits you choose. Let SecureNow do the heavy lifting for you. The leading corporate insurance advisor, SecureNow, can help you find and compare the right gym liability insurance policy as per your needs, which you can further customise as per your requirements. Moreover, the team of SecureNow is there not only at the time of purchasing the insurance but also at the time of filing the claim. Reach out to us to discuss the coverage you need for your gym or fitness business.